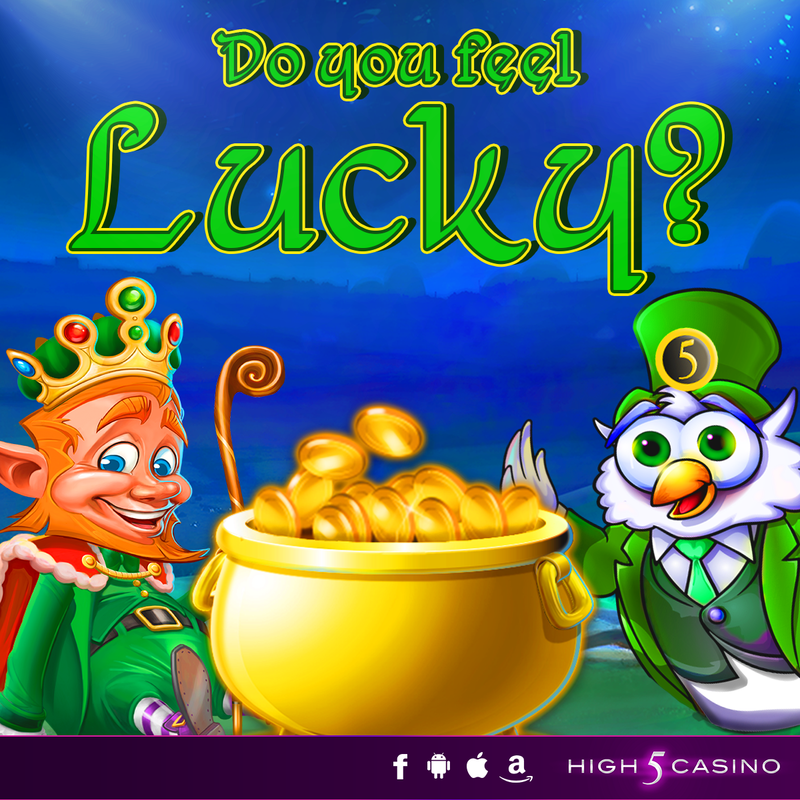 This entry was posted in High 5 Casino, High 5 Games, High 5 Moments, High 5 Vegas, Shake the Sky Casino and tagged Android, App Store, Apple, Facebook, Facebook Games, Free Games, High 5 Casino, High 5 Casino Mobile, High 5 Games, iOS, iPad, iPads, iPhone, iPhones, Luck of the Irish, March 2017 Player Report, mobile gaming, Player Report, Shake the Sky Casino, Shake the Sky Casino Mobile, slots, social gaming, St. Patrick's Day, St. Patty's Day, Trivia by hoothigh5. Bookmark the permalink. Green, Kelly green, of course. Green is the color for St. Patrick’s Day! The Answer-I believe the answer is green. This is the color associated with St. Patricks Day. Green & link didn’t work for me? Any help would be great! Hi Heidi, Make sure to use the iOS link if you are playing on an iOS device and the Android Link if you are playing on an Android device. green. where did the game go? Hello, The Leprechaun King is back on! Sorry for the inconvenience. What happened to Leprechaun King? It appeared last night, I played to L152…and today it has disappeared! Hey Mary, The Leprechaun King is back on! Sorry for the inconvenience. Where is my game??? I have been playing this all day, got off my phone and computer for half an hour and it’s gone. What happened and please put it back. I buy coins all the time to play and you take it off with no notice. I’m at level 200 plus and I bet large, to get to keep the game. Please advice.